Teichert Construction is currently seeking a GPS Technician who is interested in building a meaningful career with an innovative company committed to being an industry leader. 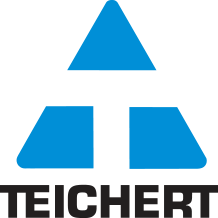 At Teichert Construction, you will find a stimulating environment offering training opportunities and growth potential you’ve been looking for in a career. Join one of California's oldest and most respected companies, and find out why generations of families have worked for us. The purpose of this role is to deliver efficient and effective technical and administrative support and successfully complete assigned projects according to specifications. The primary role of this position is building accurate GPS models and supporting the grading department. The secondary role is to assist with the coordination, management and technical support of company assets and field personnel. - Promotes a zero injury culture through the support of Teichert’s Injury Prevention and Safety program and active participation in safety meetings and training sessions. Proactively identifies, and communicates, safety improvements and hazardous/potentially hazardous conditions to maintain a safe, healthy work environment and meet corporate safety standards . - - Modeling building for rough grade and finish grade of subdivisions, site work and roads and highways. - Provides up to date and accurate model files to the field on a timely basis. - Works with project management staff and engineers to obtain CAD files, approved plans, and control points for modeling use. - Provides up to date earthwork calculations based on field topo’s vs. the current model. - Coverts and incorporates tie out information, provided from the field, in the model for field use. - Joins, labels and colors all model line work based on what was agreed to with the job foreman in the pre-job meeting. - Time management is key when building models that take several days. Always works with the goal in mind to meet and exceed deadlines that are given. The next model or earthwork takeoff is waiting! - Ability to work on multiple tasks at the same time. - Ability to establish a good working relationship with all foreman, grade setters, superintendents, and project managers. - Ability to establish and maintain good working relationships with all civil engineers. - Ability to complete model revisions/changes as soon as possible while communicating with the foreman the status of when the revised model will be completed. - Willingness to listen and learn from job foremen and apply what is learned to the model building process. - Ability to meet all expected deadlines while paying close attention and maintaining accuracy. - Willingness to take on whatever project or revision comes up. - Teamwork, communication and follow through are key ingredients to achieving success. - Provides asset coordination, allocation, management and technical training and support to field personal. - Ability to adapt and deal with change on a daily, weekly, monthly basis. - Ability to deal positively with the pressures associated with deadline. - Ability to process grading information, such as, plans, plan revisions and surveying cut sheets. - Two (2) or four (4) year degree from a technical school, community, university or state college. - Minimum of one (1) year of takeoff experience using AGTEK or Trimble Business Center. - Minimum of one (1) year experience using AutoCAD. - Must be able to read and interpret grading plans and specifications. - One (1) year of grading field experience preferred. - Well versed in: plan reading, plan specification navigation and field grading processes. - Technology: Microsoft Office, AutoCAD, AGTEK, Blue Beam, Google Earth, VisionLink, and Trimble Business Center. The physical demands and work environment characteristics are representative of those that must be met by an employee to successfully perform the essential functions of this job. Reasonable accommodations may be made to enable individuals with disabilities to perform the essential functions. - Physical: Sitting for long periods of time working at the computer or driving to job sites. Job site visits require walking on uneven ground, climbing, bending, and stooping. Some lifting of materials and equipment up to 50 lbs. Close vision, distance vision, peripheral vision, depth perception, and the ability to adjust focus. May work long hours during peak seasons. - Work Environment: Typical office environment with adequate temperatures and lighting, low levels of noise. Exposed to the conditions of job sites which can include loud noise, dust, fumes, and extreme weather conditions prevalent at the time. May work various shifts or hours, including early mornings, dusk or evenings. Teichert is an Equal Opportunity Employer and an E-Verify Company.